One third of the world’s estimated 59,000 rabies deaths occur in India. 99% of these deaths are the result of a dog bite. 40% of the time, it is an impoverished child who dies. In June, a collaboration of four partners: the World Health Organization (WHO), the Food and Agriculture Organization of the United Nations (FAO), the World Organization for Animal Health (OIE) and the Global Alliance for Rabies Control (GARC) launched a global strategic plan to eliminate dog-mediated rabies by 2030. The coalition formed as United Against Rabies in response to global pressure to focus resources on this 100% vaccine-preventable disease. United Against Rabies estimated a $50 million budget for the 12-year plan. The work-plan proposes a phased approach to supporting countries in preparing a sustainable rabies elimination plan through a One Health design. One Health recognizes that the health of people is connected to the health of animals and the environment. It is an integrative approach to managing health issues with multiple sectors communicating and working together to achieve better public health outcomes. Financing and implementing national, regional and local rabies elimination plans is not included in the $50 million United Against Rabies is investing in the program. India will need to dedicate its own resources to establish and implement sustainable, effective rabies control activities. Eliminating rabies in India can be achieved through education, treatment and vaccination. Awareness and education is the first step in establishing a community approach to becoming a rabies-free zone. Rabies mostly affects poor and vulnerable populations particularly children. A study by End Rabies Now showed that 54% of people surveyed in urban slums in India did not know that rabies was a disease, proving that education is a big part of the solution. Treatment. Another inhibitor to eliminating the disease is making the post exposure vaccinations easily accessible. Clinics and hospitals need to be able to provide vaccines and immunoglobulin, if necessary, and either make it free or inexpensive for those who have been bitten. With treatment, the lives of thousands of adults and children can be saved. Vaccination. From a preventative point of view, India needs to maintain a 70% vaccinate rate for all dogs. By vaccinating 70% of dogs, you create herd immunity, effectively slowing the spread of rabies until it dies out entirely. One state in India has taken the first step. 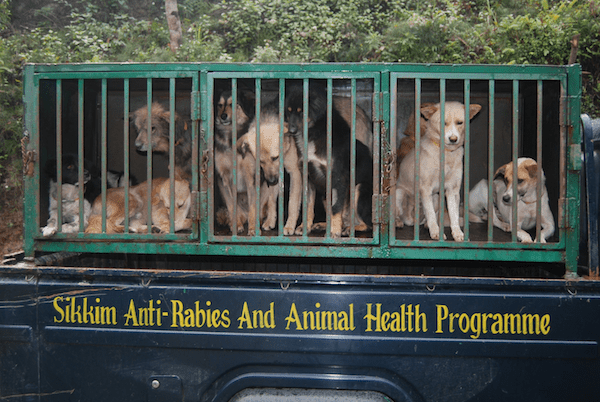 Sikkim Anti-Rabies and Animal Health (SARAH) program is an example of a successful dog-mediated rabies elimination program in India. The statewide program is a collaboration between the Government of Sikkim and two international organizations, Vets Beyond Borders and Fondation Brigitte Bardot. SARAH’s activities are similar to DAR’s programs providing rabies vaccination, humane animal control and rescue programs, and community education. Continued engagement and support from various governmental units such as the animal welfare and public health are critical to the ongoing success of the program. Rabies is a preventable disease. There are proven ways of eliminating dog-mediated rabies and Sikkim has demonstrated that it can be achieved, even in India. What does it take to get other states to effectively implement a comprehensive, holistic and sustainable public health and animal welfare initiative to end human death from rabies? Advocate: Spread the word about the need to establish a public health and animal welfare initiative across our state of Himachal Pradesh and across India. Act: Come visit us at DAR to get your pets vaccinated and call us to vaccinate strays in your area. 3. Share: Download this promo and share it on social media encouraging others to spread the word. 4. Fundraise: Create a Facebook fundraiser to raise money for vaccinations. Every $10 covers the cost of vaccinating a dog. By doing our part, we can end rabies by 2030. Deb Jarrett, at age 40, decided her life needed some shaking up. In fact, she needed to rattle her brains a bit. She was done climbing the corporate ladder, paying mortgages and internet dating—so she quit her job and moved to India to help animals. Not to be confused with Elizabeth Gilbert, at this point in her life, Deb had done just about all of the self discovery she so desired on therapist couches, yoga retreats, and spiritual workshops. In fact, she Eats very carefully, due to the risk of bacteria and parasites. She no longer Prays after experiencing the harsh reality of the developing world on a day-to-day basis and believes compassionate action is the answer. However, she did find Love with an Indian man. 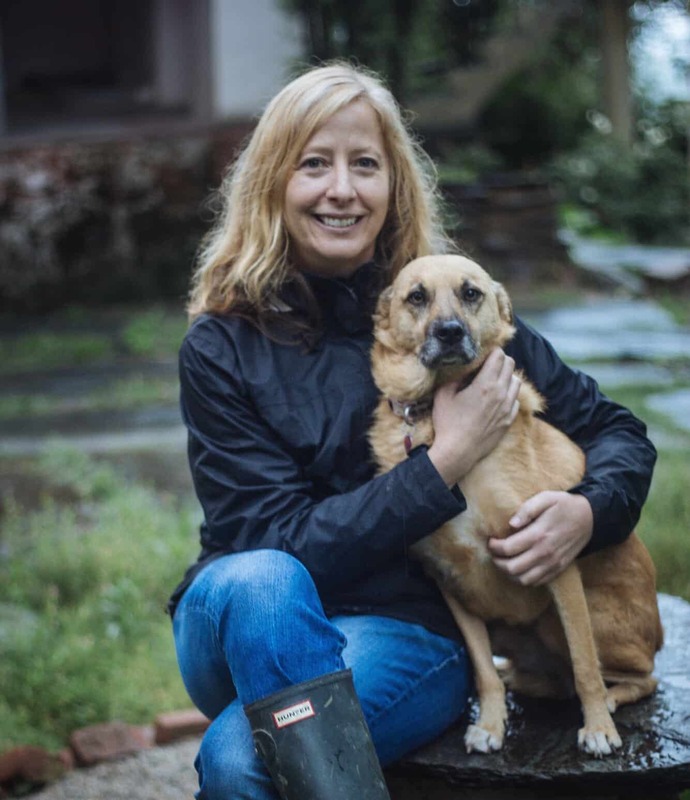 She started Dharamsala Animal Rescue in 2008 after her first trip to India.